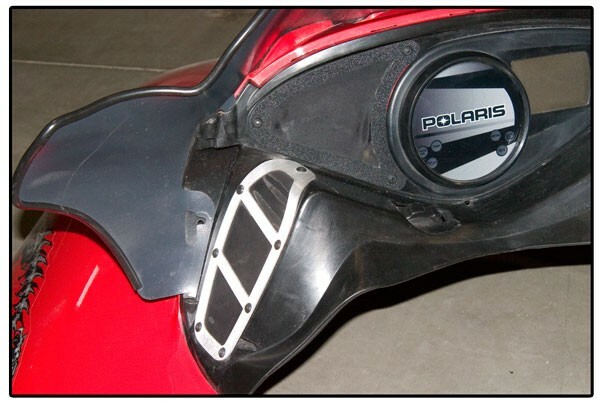 This Powder Snow Pre-filter Kit for Polaris IQ Chassis increases intake surface area for increased performance. 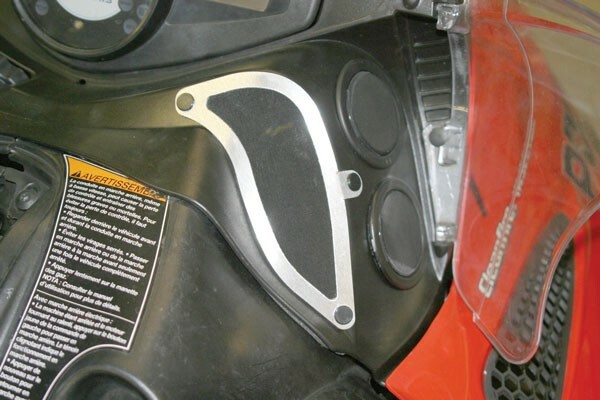 It also eliminates the stock foam filters that are prone to falling out and getting lost. The pre-filter securely fastens to the hood to provide a more positive seal for improved cold air intake with less chance of snow ingestion through the intake vents. This kit features an attractive brushed aluminum grate which utilizes a special pre-filter material that repels snow and water, yet maintains high airflow.